Sometimes things just naturally fit together: peanut butter and jelly, soup and sandwich, NewGrass synthetic grass and backyard play sets. Just ask Paul Parker, who is equally comfortable in the worlds of synthetic lawn and children’s play sets. Paul is a partner in Artificial Grass San Diego and San Diego Backyard Adventures. 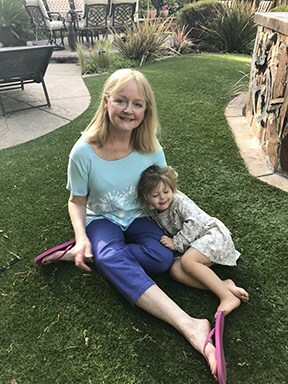 The first is among the newest authorized distributors of NewGrass, the artificial grass solution when being water-wise and eco-friendly are as important as having more green lawn to enjoy year-round. The second company is the San Diego area’s most recognized and respected provider of the highest quality wooden outdoor play equipment. However, separately, it’s clear NewGrass synthetic grass is superior to natural products, Parker said. Plus, it encourages kids to play! While sand and wood chips create cushioned surfaces, both are messy. Seems like they scatter easily and routinely need replenishing. However, synthetic grass creates great play spaces for dogs. Yet, least appealing, sand and wood chips attract cats. In turn, they who consider these to be one big litter box. Not to mention they can be messy for winter play outdoors. In addition, turf grass and its weeds can aggravate allergies, plus they need fertilizers, pesticides, watering and maintenance. yet, NewGrass is hypo-allergenic, doesn’t stain clothes and prevents dirt and mud from being tracked inside. So it’s easy to see why NewGrass synthetic grass is a viable solution for play spaces. Get in touch with us today. We have the perfect product to transform your space!